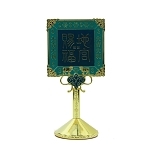 Feng Shui Ba Gua mirrors are one of best known Feng Shui symbols of protection. 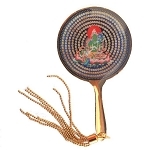 There are three different kinds of mirrors: flat (also called traditional bagua) concave and convex. The concave mirrors are "in" that look like a bowl. They are used to magnify the positive chi. The convex mirrors are "out" that looks a surface of the ball. They are used to deflect the bad energy. It reflects all chi back to where it comes from. How to place it? 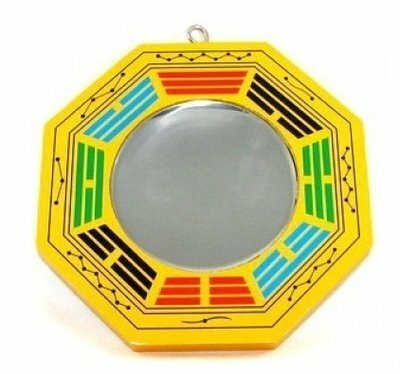 Hanging the Ba Gua directly outside and facing the structure which you think it will generate the bad chi can send all bad chi back, thereby protects your house. You can hang it above main door either inside or outside of the wall You can hang it above any windows Dimension: 5" one: approx. 5" x 5"; 6" one : approx. 6" x 6" .